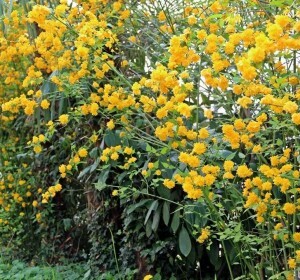 Japanese Kerria is an old-time favorite that is very much at home in the modern garden. 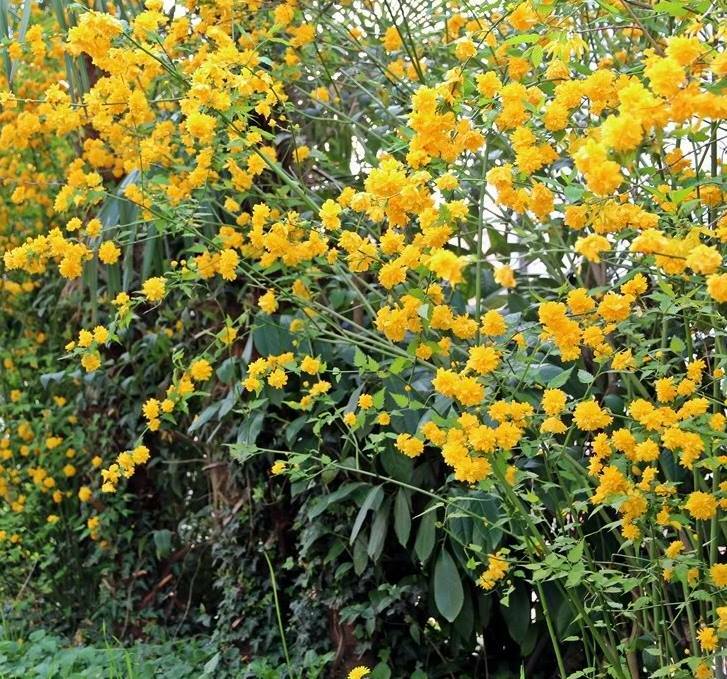 Growing well in both sun and part shade, this graceful shrub is probably most loved for its double yellow flowers, resembling small roses. On large properties, use in a sweeping border, allowing plenty of room for its spreading, fountain-like form. Where space is tight, espalier to walls, fences or the side of the house. All plants can be picked up at my place given notice. Hope to see you soon. The Google Map.